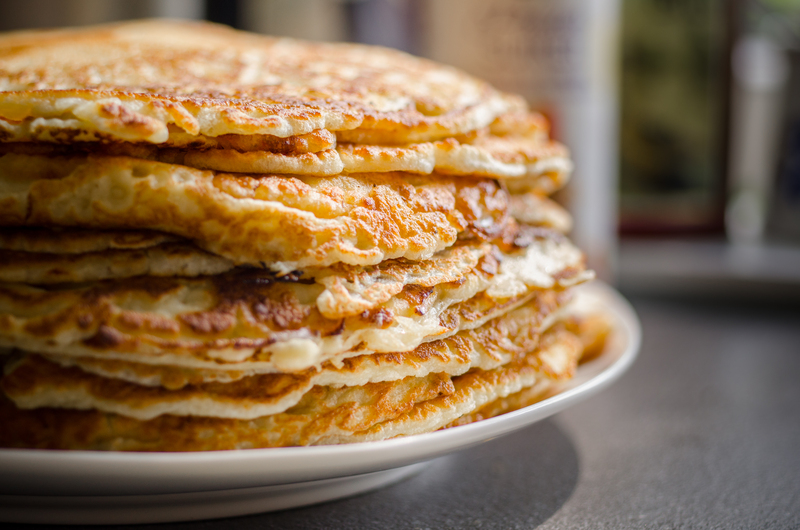 We don’t know about you, but thanks to Shrove Tuesday we have been seeing pancakes everywhere this week! If you’re currently undergoing tooth realignment treatment you might be torn between wanting to join in with the culinary fun but not wanting to risk damaging your fixed brace. The good news here is that pancakes are actually a brace-friendly food! So long as you are able to be mindful of the sugar content and avoid any potentially brace-hazardous toppings, you can enjoy your Pancake Day treats guilt free. We think Greek yoghurt is an excellent pancake topping because it feels indulgent while still being fairly low in sugar content (make sure you choose a plain one!) Berries such as blueberries will add an extra bit of sweetness. If you’re a fan of cheesecake or cream cheese icing, we think you’ll love this very simple whipped cream cheese recipe. It’s soft and low in sugar, which makes it the perfect choice for brace wearers. Bananas and honey are both naturally sweet foods that go beautifully with pancakes. Nuts themselves are generally best avoided during orthodontic treatment as they can be very hard to bite into. However, nut butters are an excellent source of protein and good fats. They also work really well with pancakes! Peanut butter works well here, but for something a bit different why not try almond butter or cashew nut butter? Stewed fruit is great for brace wearers. Not only does the stewing process make the fruit taste sweeter, it also makes it much softer. Stewed apples and pears go brilliantly with pancakes, and a sprinkling of cinnamon makes the combination feel like even more of a treat. How will you be eating your pancakes this week? We’d love to see your recipes on our Twitter or Facebook pages.